This Saturday 28 November is the iconic Grey Lynn Festival, held in the Grey Lynn Park. 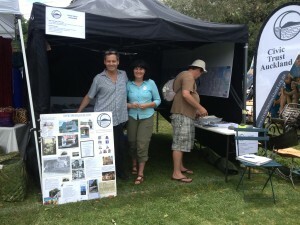 This is the second time Civic Trust has run a stall at the festival. Our aims are to raise awareness of heritage issues in Auckland, to educate about the Unitary Plan process, and of course, to promote Civic Trust Auckland. Do come along to this fabulous festival, which has been going for over 30 years. We welcome anyone who would like to spend an hour or so on the stall with us. Phone Helen on 021 208 7490. Our stall number is 756, and we will be located near the middle toilet block, on the edge of the top field, beside the road to the bottom field. Check out the Festival Facebook page here.